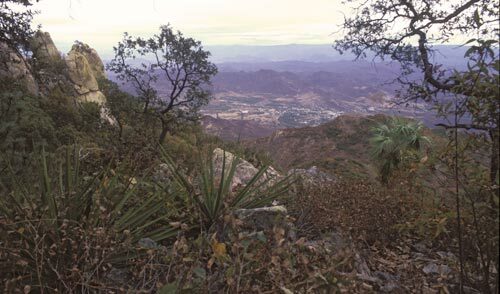 Atop Sierra de Álamos, near Gringo Point, looking south at sunrise into Sinaloa. 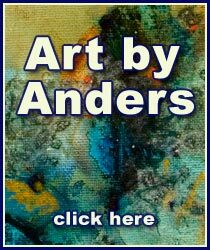 So much of Álamos-Sonora-Mexico.com is about history. In that spirit let us peek at the region’s geologic history, stand earth time. The Sierra Madre Occidental and the Rocky Mountains began to form 90 to 30 million years ago along the west coast of North America. Ocean levels were much higher than today, back then there was no Florida. The age of mammals started 66.4 million years ago. Sierra de Alamos was beginning under great pressure deep in the earth along with what would become Aduana’s silver deposits. Northwest Mexico, including Álamos, was buried under thousands of feet of ash, cinder and lava flows. Volcanic eruptions began 25 million years ago and continued another 12 million years, give or take a day or two. The Sea of Cortez began to form 12 to 3 million years ago as the Basin and Range block building was underway. Sierra de Álamos was still underneath a layer of all things volcanic. 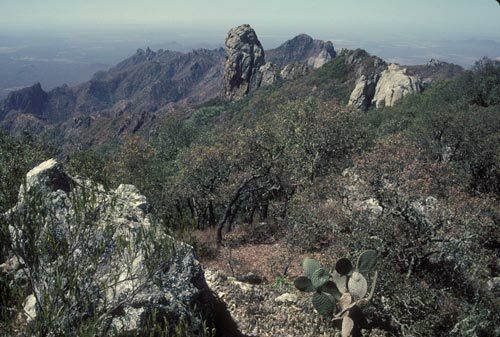 Over time erosion cut into ash flow plateaus creating landmarks like Barrancas del Cobre, Copper Canyon, whose materials were washed away and deposited near Sierra de Álamos. The rising mountain was still cover by blankets of earth. 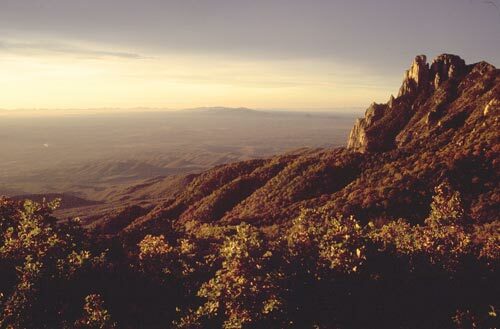 Today, Sierra de Álamos rises thousands of feet above its surroundings. 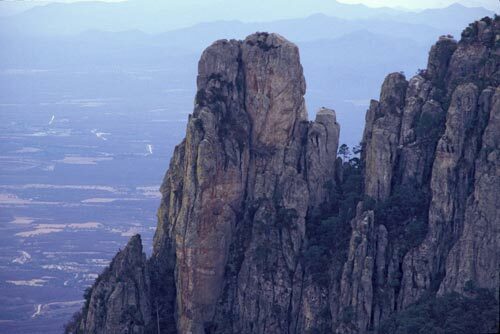 And many have visited Álamos to research the region’s geology, flora and fauna. Josephine Scripps was asked by the San Diego Natural History Museum in the 1940’s to lead a group of six young men, none who spoke spanish, on a natural science expedition to Álamos. They were to bring back a rare mountain sheep’s skeleton and hide. Josphine, 1910 -1992, was the granddaughter of Edward Scripps, founder of the Scripps – Howard newspaper chain. Her life-long pursuit of collecting mineral specimens from across the planet began on that trip to Álamos.